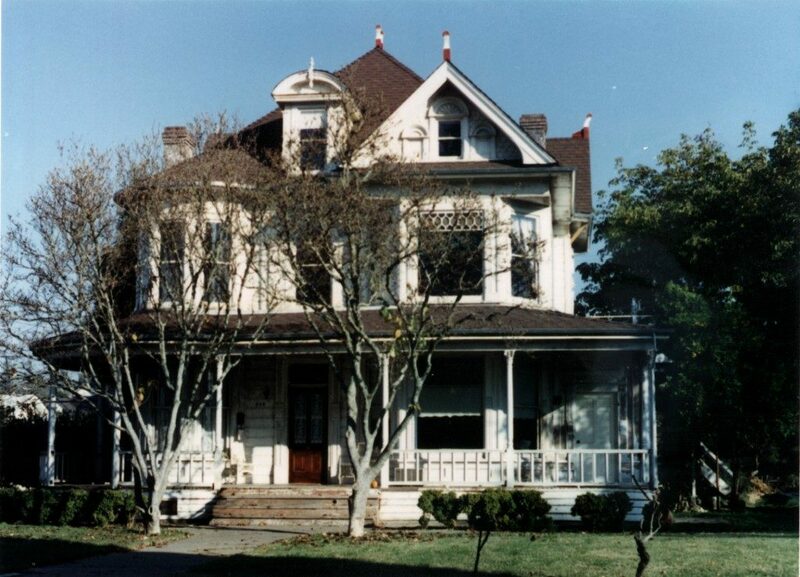 The 1892 Victorian Healdsburg home before the makeover. 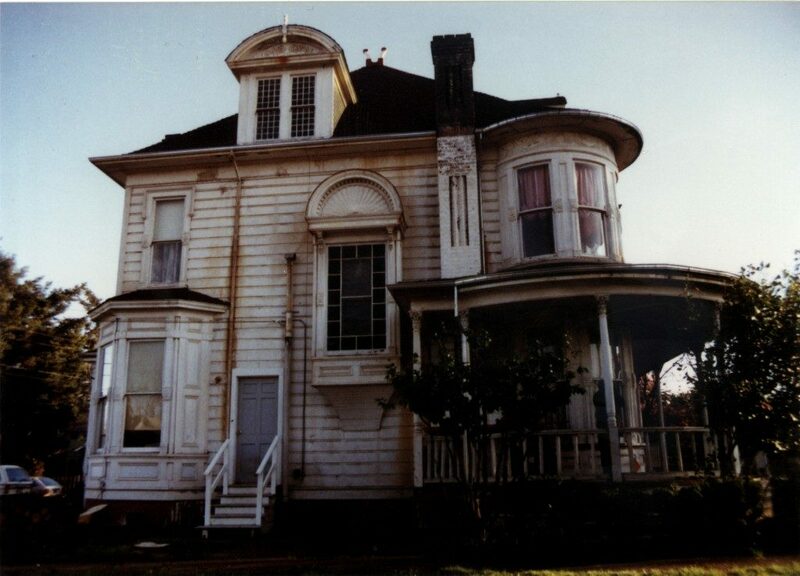 The north side of the Healdsburg home, before the restoration work began. A historic photograph of the entry hall's stained-glass window as seen from the street. 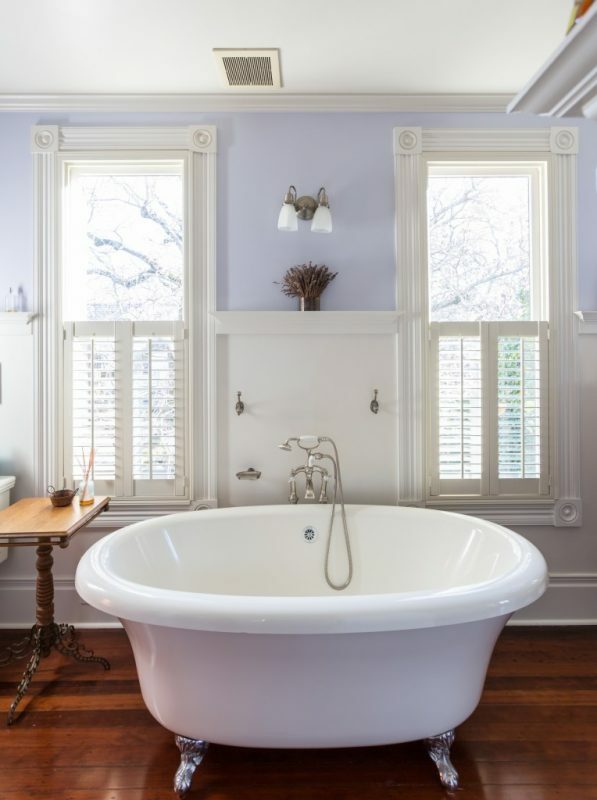 A designer couple revives a classic with personality. Click through the gallery above to see photos; read the full article below. You might have called it a Hallmark moment — Elizabeth and Rich Pembroke waving goodbye to Kansas City, Missouri, where they had worked for 10 years at the headquarters of the iconic card company. The couple was California-bound, having been offered impressive new jobs at a design firm in Santa Rosa, complete with a relocation package. 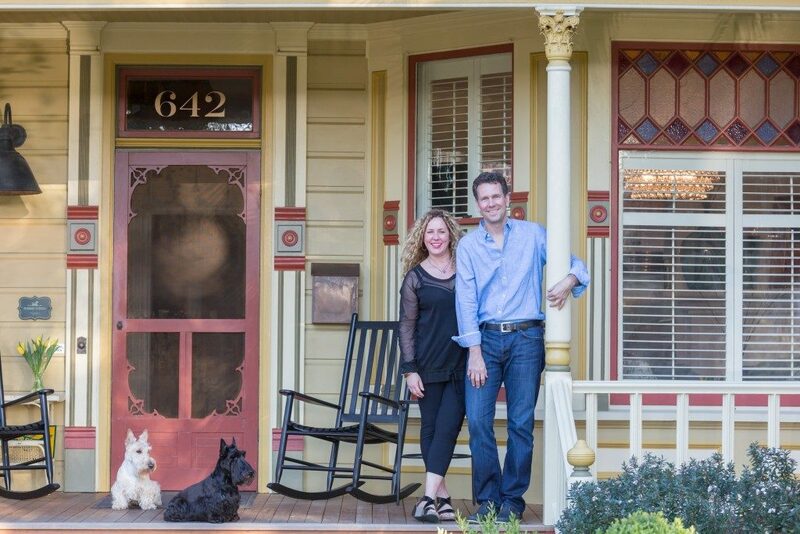 After settling for a short while in an apartment they soon despised, the Pembrokes’ weekend real estate searches led them to an 1892 Victorian for sale on Johnson Street in Healdsburg. Tickled by its potential and long history, they recognized it as the perfect place to build their own life story. 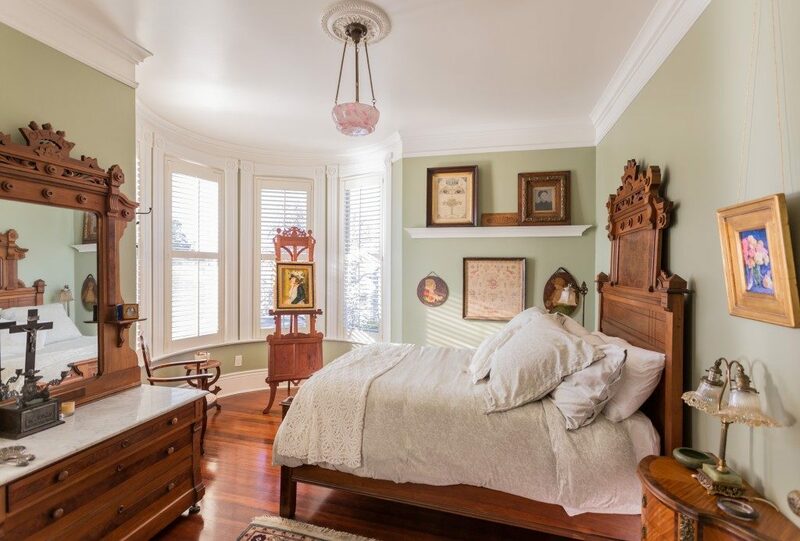 Their offer was the lowest of six bids, but the sellers chose them as the new owners because they believed the Pembrokes would preserve the grandeur of the place. 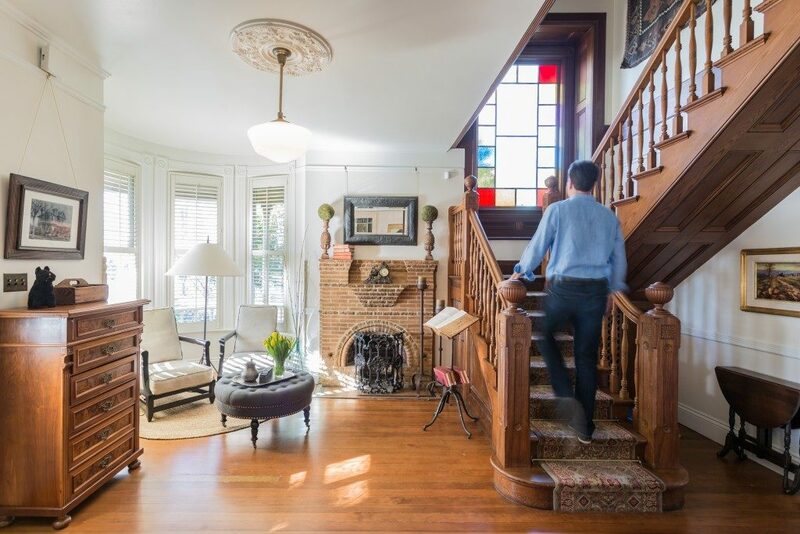 From the beginning they felt a dutiful tug to bring the house back to its earliest glory — a tremendous undertaking that now, nearly 20 years later, is still an ongoing passion. 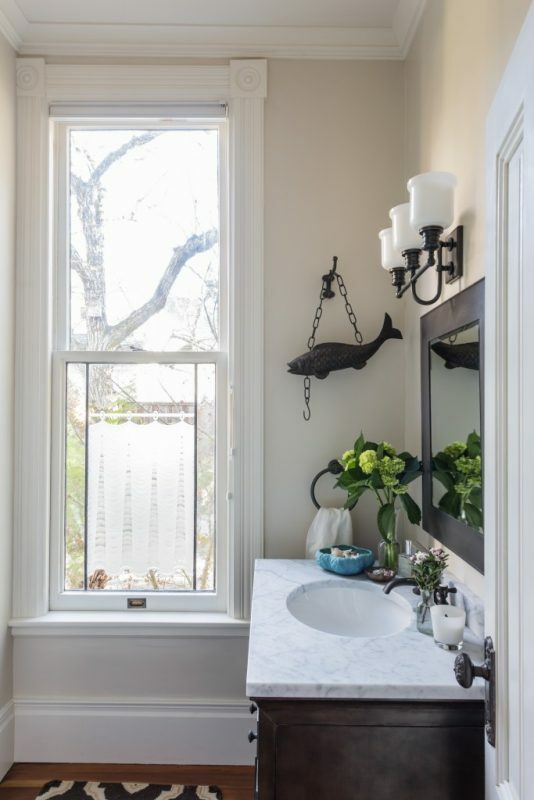 “It’s never done,” Rich says, and with the familiarity of the longmarried, Elizabeth finishes his thought: “It evolves.” Rich, an illustrator, designer and fine art painter, is also very adept at DIY home projects, and Elizabeth, an art director and marketing pro, has innovative ideas and an eye for interior design. What they can’t do themselves falls to general contractor (and good friend) Jaime Rodriguez of J J Rodriguez Construction. 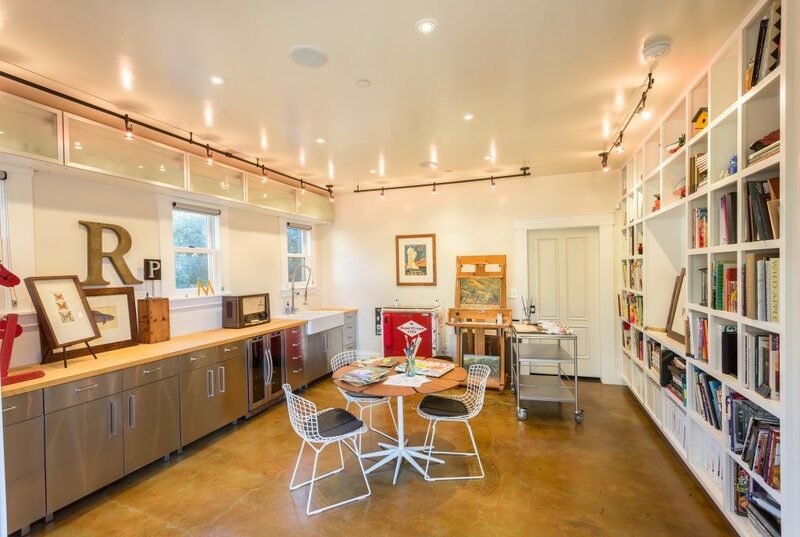 He remodeled the kitchen and, five years ago, built a second building on the property that is home to Pembroke Studios, Inc., the design and marketing company the couple founded in 2000 when the business that had brought them to California folded. One of their first clients was their former employer — Hallmark — for whom they designed Harry Potter merchandise like pens, calendars, notebooks, bookmarks, cards and stationery. 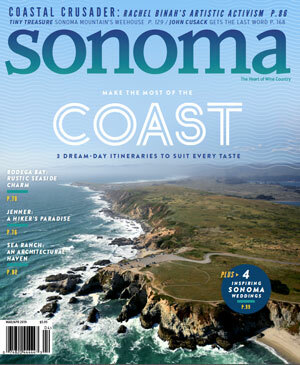 Eventually they developed a local clientele, and they are now experts in designing wine labels. Their office building replicates all of the historical details of the main house, and the wood siding was milled specially so the board width would be same. 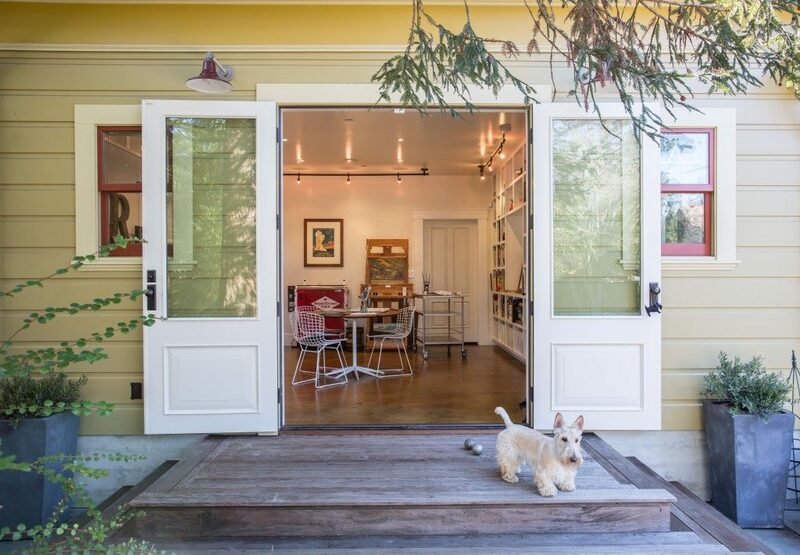 The oak floors were reclaimed from a barn in Kentucky, and the entry door was made to match the main home’s front door. 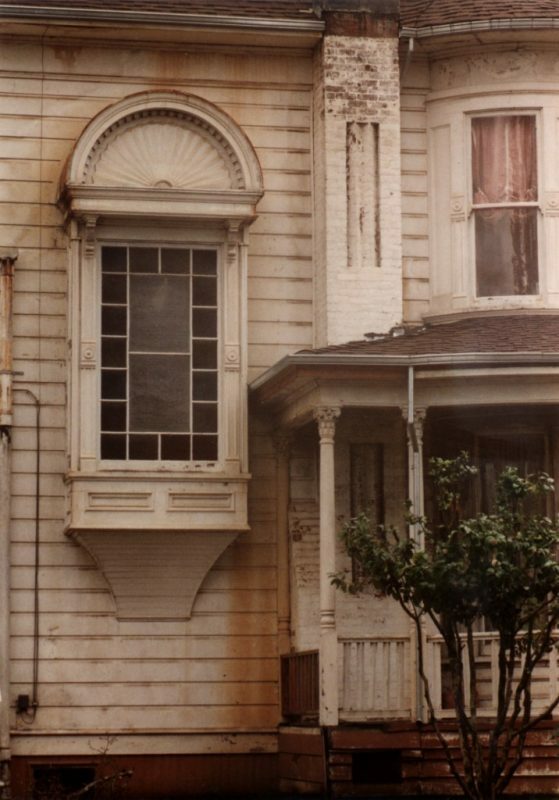 The Pembrokes’ three-story home, complete with covered porch and windowed turret, was the long-ago residence and medical office of the original owner, Dr. J.R. Swisher, and his family. Just as the doctor saw patients in his home and even delivered babies there, the Pembrokes originally worked in the home, setting up shop on the third story, reached by a narrow and very steep stairway. 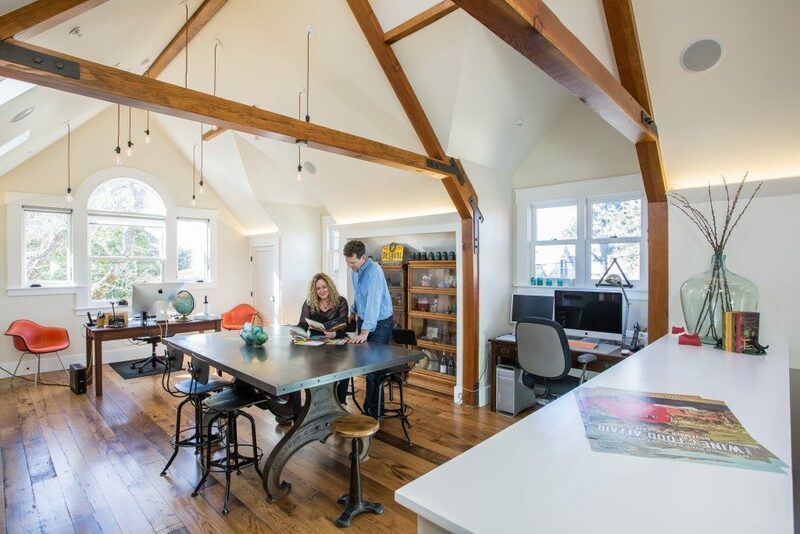 Even though their new studio is only steps away from their home, they love that their work and home lives are now in separate buildings. 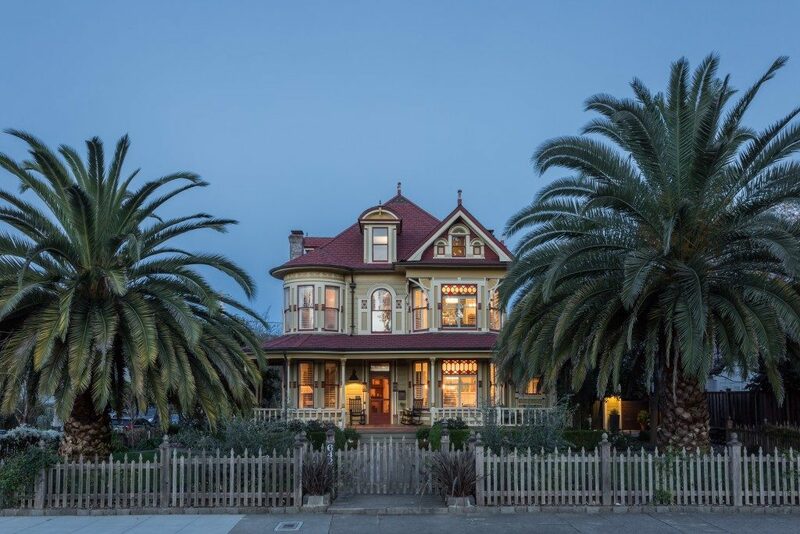 The Victorian housed a long list of inhabitants after the Swishers, and in later years the large house was divided into five apartments rented out as individual units. The owner prior to the Pembrokes began transitioning the structure back to a single residence, and the Pembrokes completed the job. 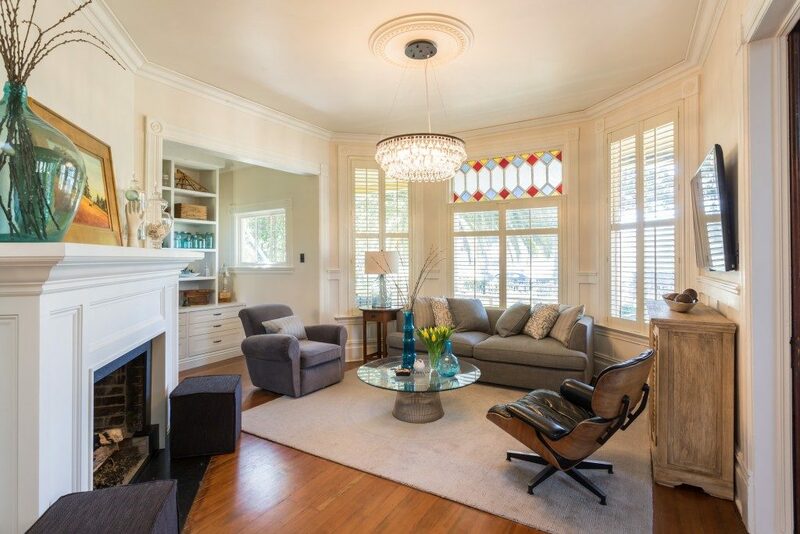 The first floor has a living room, formal dining room, kitchen and bath. There are three bedrooms and two baths on the second floor and the former workspace on the top floor now stands empty. All the plumbing and wiring have been replaced, and all four fireplaces are now working and converted to gas, including one in the master bedroom that warms them all winter. 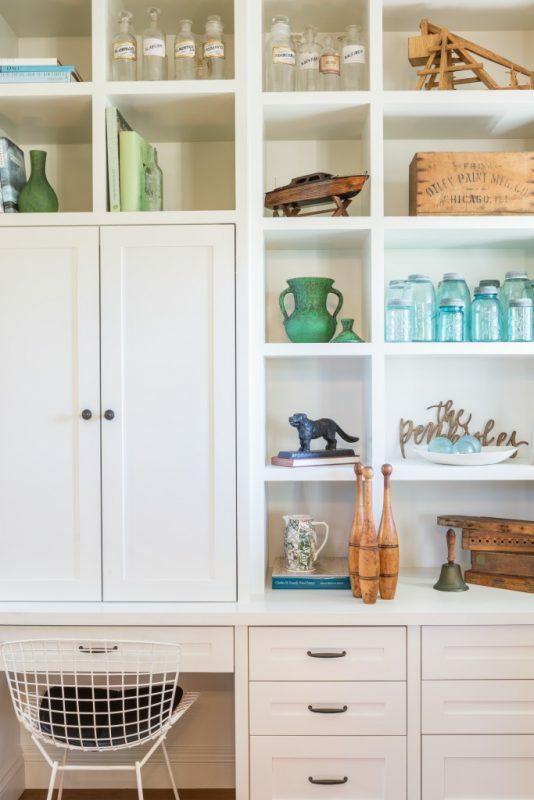 While they’ve honored the original integrity of the home, their furnishings are modern and create a contemporary feel. When they bought the house, the Pembrokes were told that it was a Halloween hot spot, and they now decorate and have candy ready for about 2,000 trick-or-treaters. 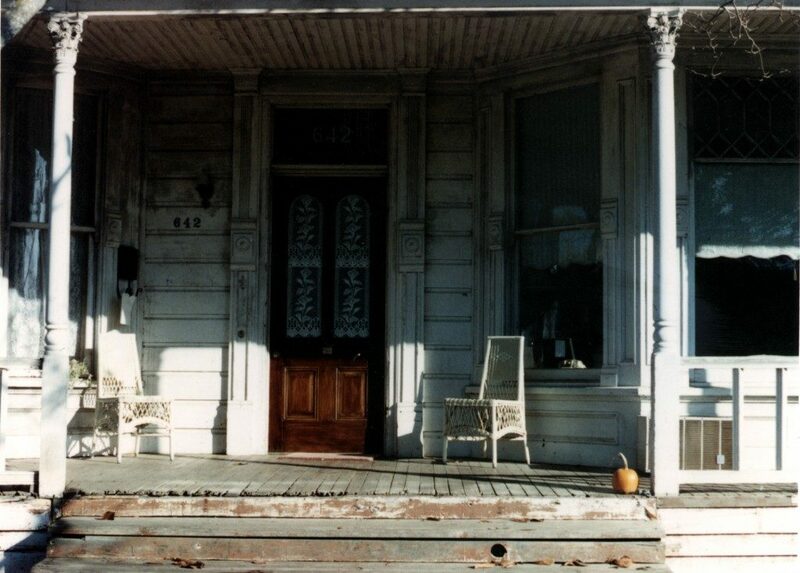 There are four black rocking chairs on the porch, which is also enjoyed by their Scottish terriers, August and Tibi. “We don’t want to live in a museum,” says Elizabeth. “The house is quirky. We have eclectic taste.” Rich’s oil and watercolor paintings grace the walls throughout the home. 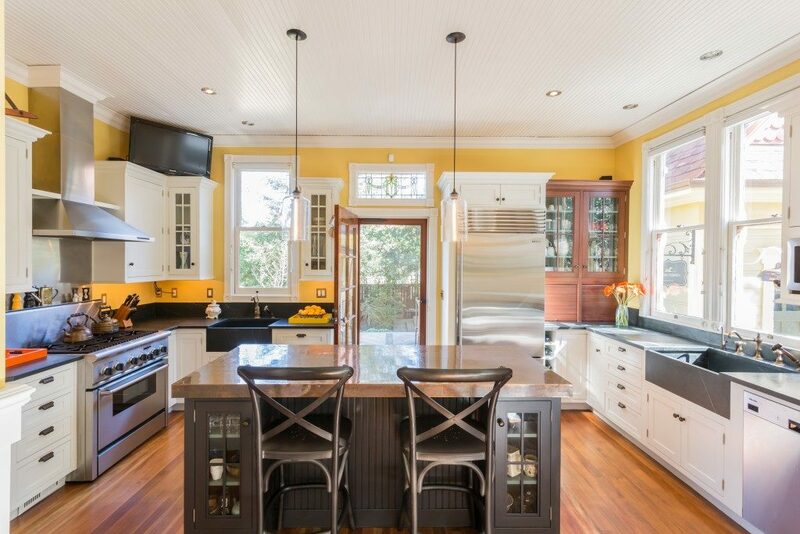 They designed the kitchen with entertaining in mind and included two sinks, one for prep and the other a cleanup area. The island has a copper top that Rich made by wrapping sheet copper around a thick base built of plywood and then mounting it on cabinets. 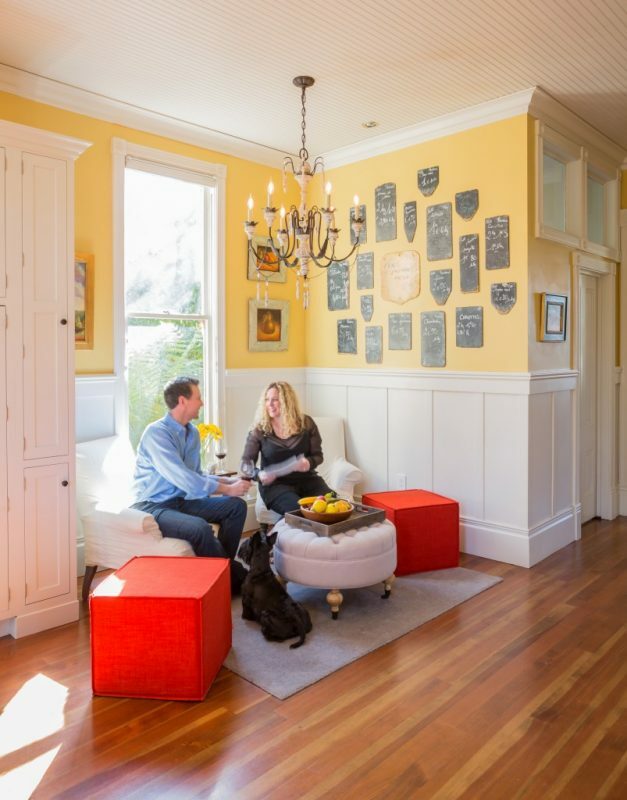 A seating area in the kitchen, with two linen-slipcovered armchairs and a round ottoman nested in front of a large window with an orange tree in view, is their go-to spot for coffee and conversation. 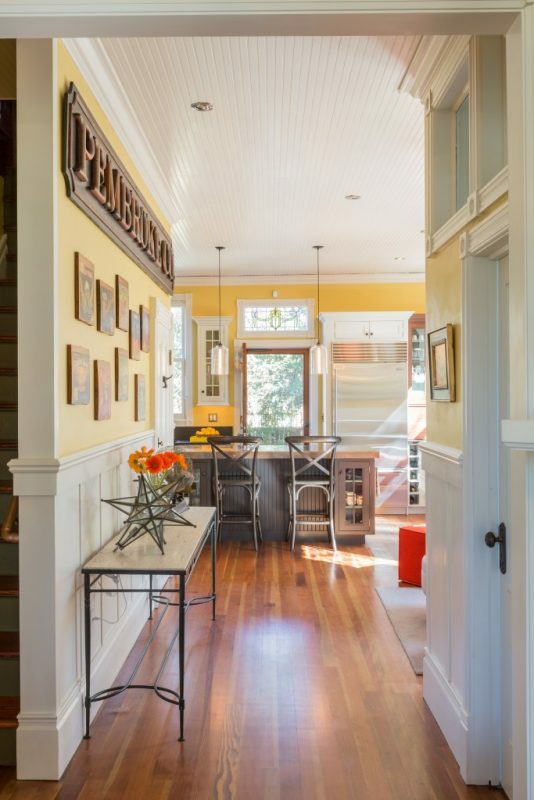 Rich meticulously restored a wooden staircase that rises from the entry hall to the second floor with a window seat at its landing. He was rewarded for his efforts not only by its beauty, but also by the discovery of a treasure found under a floorboard. It’s a letter from a teacher of one of Dr. Swisher’s children, warning his parents that his schoolwork is not up to par. Hidden for more than 100 years, the schoolboy’s secret is still safe — as is this majestic house, so maintained and protected by the Pembrokes that it may well last another 100 years. 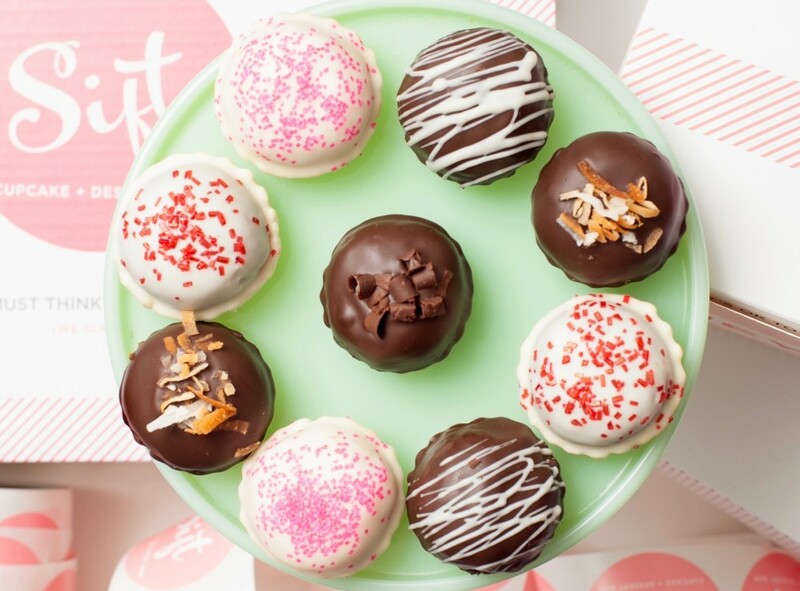 Tiny balls of deliciousness are a hot treat.